Today, meet our digital support analyst, Spencer Hanson! I came [as an intern] to Lerner to get real experience in publishing, and thanks to good timing and putting in my best effort, I landed a job. I accepted the position of digital support analyist because I believe in this company and the people that make it run. I’m very grateful to Amy McGuire and Kris Vetter for allowing me to take on increasing responsibilities as an intern and now as a member of the digital team. I’ve also recently begun taking on more responsibilities in Brain Hive with Tara Warren and Erin Lampa as well. I know Lerner is the place where I can grow and be challenged. I’d also like to thank my English professor, Tammy Durant, for connecting me with Lerner and providing me a great reference. 2. Describe a day in the life of a digital support analyst. Right now since I’m transitioning into the new position, I have a full plate of new systems to learn and old responsibilities to balance. It is exciting, and I see this as my chance to prove myself. Every day is different and busy. With the digital team I’m working on distribution, conducting quality assurance on our fall releases, and assisting in the creation of the eBooks as well. I’m also writing for and managing the submissions for the weekly digital blog post, redrafting the white papers with up to date research, and I’m working on other research and writing projects as well. Now that I moved out of my intern position, I’m helping train our new intern, Rebecca Rowell. It is great to have the extra help. Now that I’ve started working with Brain Hive, I am doing the monthly reports, managing new acquisitions, and getting into contracts and other general Brain Hive responsibilities. I’m sure more is to come too! This week I just finished editing a large biography for a resident from the senior living community where I used to serve as a nursing assistant. He grew up in India and studied medicine before traveling to the UK and US to learn and practice anesthesiology. Before that the last book I read was Growing Up in the Great Depression, a self-published book by another of my residents, Delores Mixer. 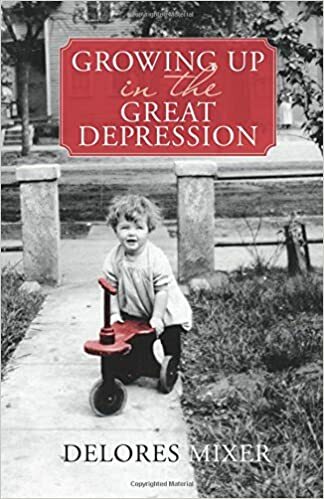 Through a collection of short stories, she details her childhood along Glendale Street in St. Paul during the Great Depression. In general I read less fiction now, while I read mountains of research articles and primary historical documents. I do like reading material from less privileged sources, such as from my residents. There is another book that was written by one my residents who was highly disabled, so it would take him hours to write a paragraph using only a mouse to type. He completed his work before he died, but I’ve yet to read it. But other than sifting through the retirement community, I would recommend getting lost on your own journey of discovery. Even though you might run into some duds, when you find something truly amazing it’s really like finding buried treasure. Frankenstein by Mary Shelley, Zen and the Art of Motorcycle Maintenance by Robert M. Pirsig, Atlas Shrugged by Ayn Rand, A Woman in Berlin by Marta Hillers, and The History of Rasselass, Prince of Abyssinia by Samuel Johnson. Those were the first five I thought of, but I’ll add A Confederacy of Dunces by John Kennedy Toole; it is the only book that has made me laugh out loud and uncontrollably. 7. What is your ideal vacation? If I could be anywhere right now it would be somewhere like the Rocky Mountains, the Badlands or the Boundary Waters. I’d like to see a thunderstorm forming miles away on the Great Plains looming toward me.